"Blythe" is the title track from multi-instrumental and singer-songwriter Sylva Faye's new EP. 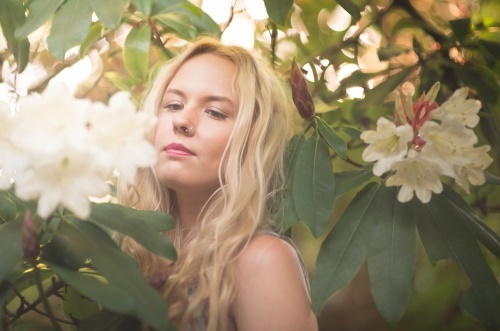 She writes and records ambient folk music with a dreamy ethereal quality to it. As well as singing, she also played guitar, bass, flute (a session flautist for 9 years) and piano on her new EP which was recorded in and set over forty-eight hours of Sylva’s life. I love this song. Sylva Faye's Blythe EP is out now on Apple Music, Spotify and Google Play.